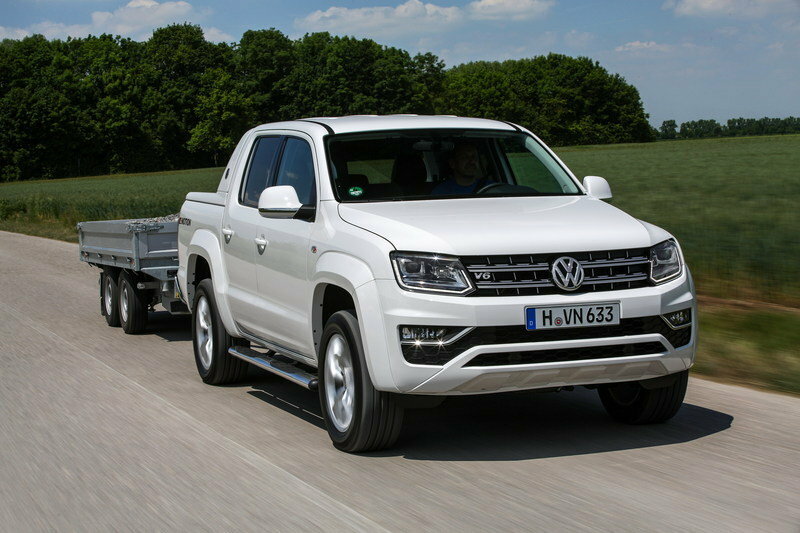 Volkswagen has finally given its pickup truck, the Amarok, a well-deserved update for the 2018 model year. The exterior changes take a modest approach, but the truck’s interior sees vast improvements in quality, design, and available features. There’s also a new powertrain – a 3.0-liter V-6 TDI that makes more power and torque than previous engines. 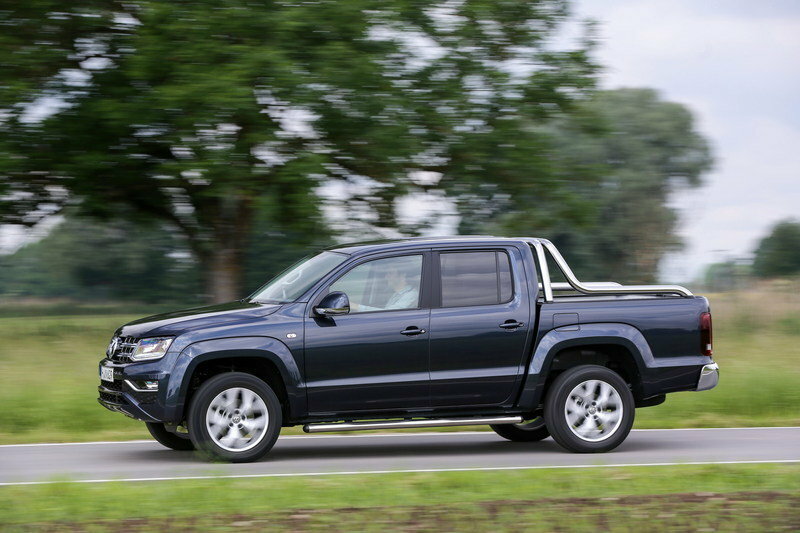 Beyond those changes, the Amarok soldiers on as VW’s only pickup offering. The Amarok got its start for the 2010 model year and has sold impressively well. Volkswagen dealers across the globe offer the pickup, though sadly, the pickup has never broken into the North American Market. That has the potential to change, but VW isn’t likely to spend money on entering the U.S. or Canadian markets with a product that would have a wide range of well-established competitors. 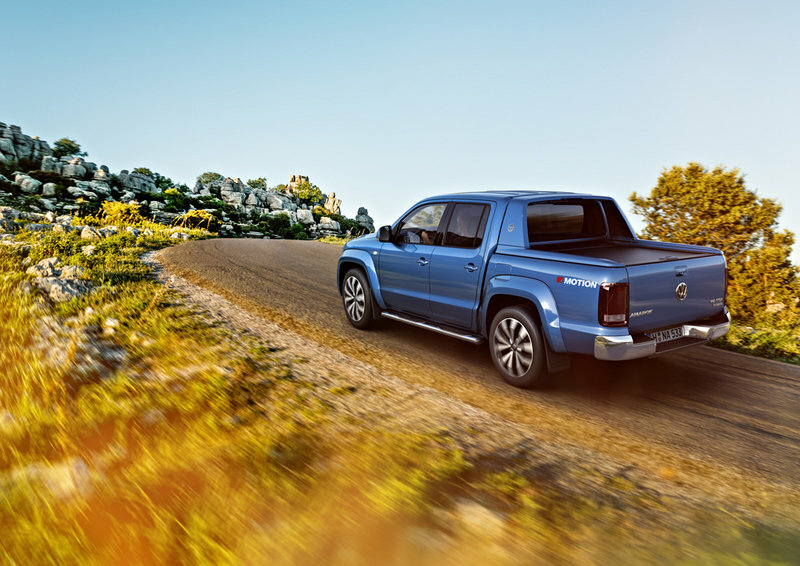 Of course, with Mercedes jumping into the market, Tesla toying with the idea of a pickup, and BMW saying “never say never,” Volkswagen could indeed push the Amarok through the EPA regulatory process. Production of the Amarok would also have to take place within the U.S. to avoid the Chicken Tax. Aside the where the pickup isn’t sold, the Amarok is a rugged mid-size pickup with a fully boxed ladder frame with an independent front suspension and a traditional solid rear axle held in place with leaf springs. This makes the Amarok a natural at hauling and towing, as well as a tough off-roader. Like American pickups, the Amarok comes standard with rear-wheel drive, but is optional with 4WD. 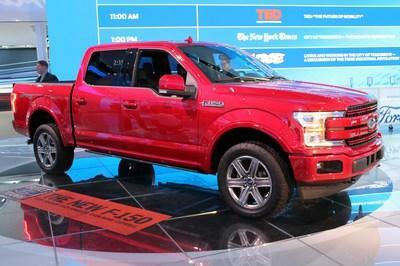 The truck can also be had in regular cab and crew cab configurations, each with its own cargo bed length. So what all is different about the 2018 Volkswagen Amarok? Keep reading to find out. Update 09/14/2016: Volkswagen has released information and photos of the heavily revised 2018 Amarok mid-size pickup truck. Continue reading to learn more about the Volkswagen Amarok. The 2018 Amarok receives a welcomed yet subtle update with its exterior. The front end now features VW’s modern styling, which is rather similar to its styling back in 2010. 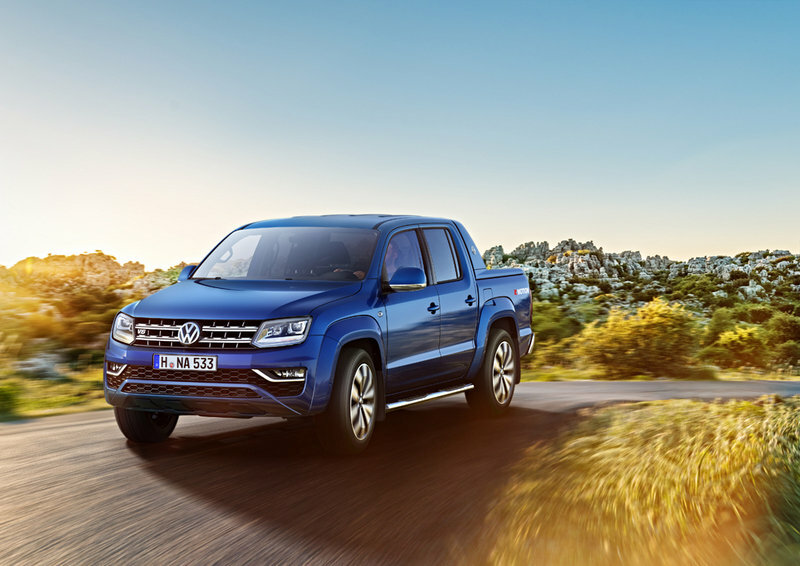 Nevertheless, the Amarok features a new grille design with two large horizontal grille bars, new headlights with LED daytime running lights, newly formed fog lights, and a more sporty lower fascia with two large horizontal grille openings. 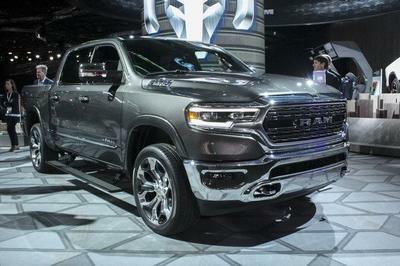 The truck’s approach angle is still impressive, free from large air dams and other aero bits. This lends a rugged and utilitarian feel to the truck. The 2018 Amarok receives a welcomed yet subtle update with its exterior. Around the sides, the Amarok’s design is largely carryover, with the squared-off fender flares, sculpted side window carve-outs, and rocker panel bulge. Optional side steps help drivers enter and exit the high-riding truck. Things out back are nearly identical to the outgoing model. That’s not necessarily a bad thing as the Amarok’s rear end already looked modern. The slim-line rear bumper features a center step for getting into and out of the bed, as well as serving for a spot for the license plate. An optional frame-mounted trailer hitch can be purchased as well. The tailgate is lockable with a key, helping prevent thieves from running away with the tailgate or the cargo inside the bed. Most of the 2018 Amaork’s changes happen here, inside the cabin. Gone are the funky round air vents, small infotainment screen, and chintzy steering wheel. It’s all been replaced with an updated design that reflects modern VW styling. Though the same basic dashboard and center console design remains, all the details have been thoroughly reworked. First, the steering wheel now looks modern with controls for the infotainment screen and driver information system. Piano black accents dress it up. The gauge cluster is also reworked, getting deeper dish gauges and an updated 3D driver information screen, the latter of which comes standard on the Aventura model. The center stack is heavily updated as well, getting a larger screen with updated software that includes App Connect, as well as Guide & Inform, which helps supplements the navigation system by added online-based, up-to-the-minute traffic information. The system also features Bluetooth and USB connectivity. The Amarok’s HVAC vents are now rectangular in shape, making them easier to use. Down below, updated HVAC controls bring dual zone controls for the front occupants. A new satin chrome trim piece also dresses the dash up, separating the upper and lower sections for a more cohesive look. Those driving long distances will appreciate VW adding the 14-way ergoComfort front seats. VW says the seats can be adjusted to fit nearly any body size. Seat height and longitudinal position can be easily adjusted, as well as the lumbar and backrests and seat cushion angle. Nappa leather with heating is available as well. Volkswagen also made parking the Amarok easier with its Park Pilot system. It uses radar sensors to detect nearby objects then displays a proximity diagram on the infotainment screen showing where and how close the objects are. A backup camera is also included. The sole powertrain offered in the 2018 Amarok is a new 3.0-liter V-6 turbodiesel. 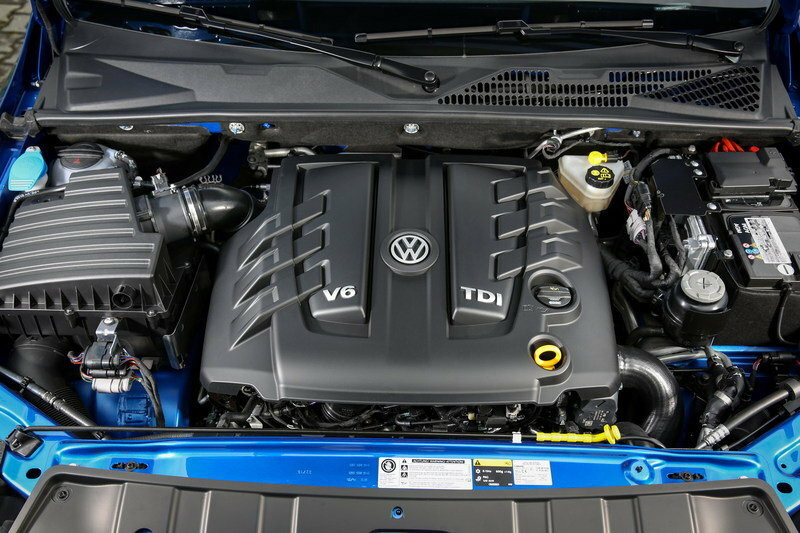 The TDI engine comes in two tunes, with the higher-strung version making an impressive 220 horsepower and 406 pound-feet of torque. 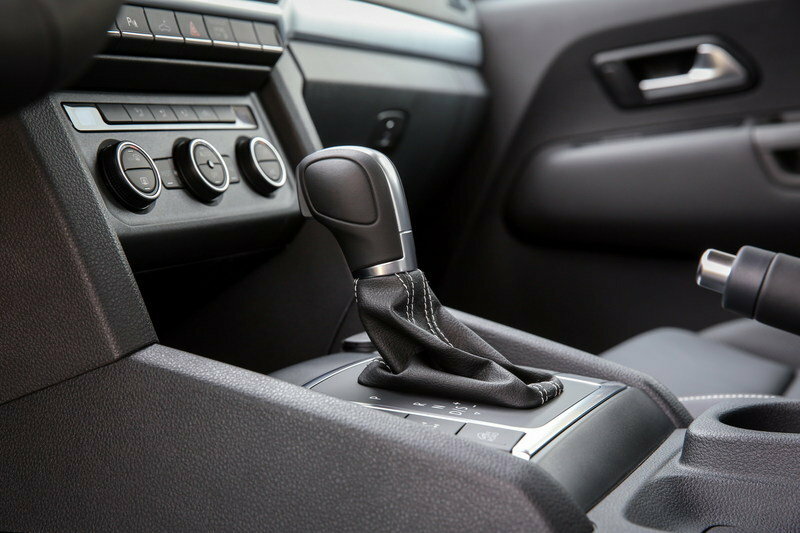 It comes mated to an eight-speed automatic transmission operated via the console-mounted shifter. 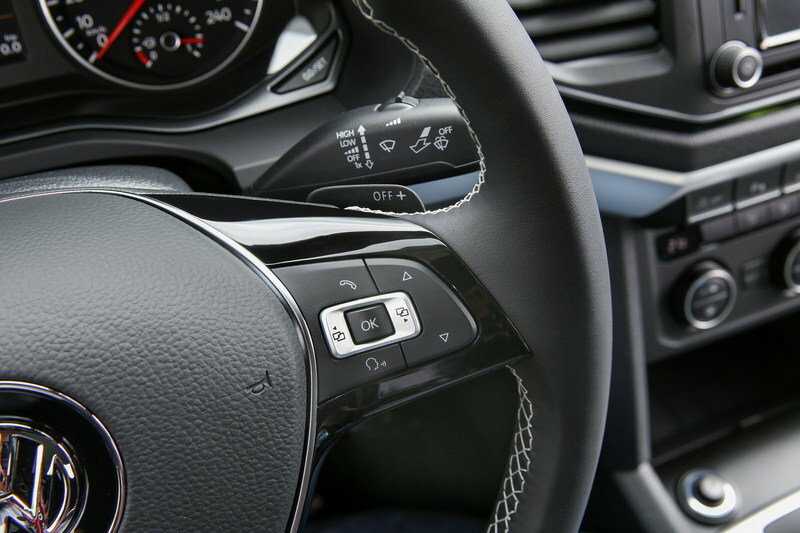 Steering wheel-mounted paddle shifters are also present for manual shifting. Volkswagen says the Amarok can reach a top speed of 120 mph and will hit 62 mph in 7.9 seconds. The Amarok comes standard in RWD form, but VW’s 4Motion AWD system is optional. The standard tune in the V-6 TDI makes 161 horsepower and comes mated to a manual transmission. This powertrain replaces two version of the 2.0-liter four-cylinder TDI that most consider woefully underpowered. 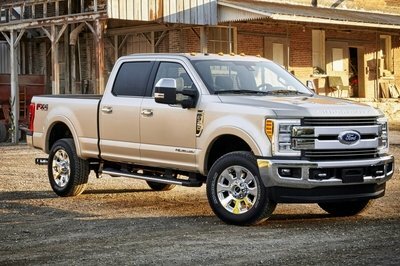 The base tune brought 138 horsepower and pushed the truck to 62 mph in a leisurely 13.5 seconds. A twin-turbocharged version, called the BiTDI, produced 178 horsepower and hit 62 mph in 11 seconds. 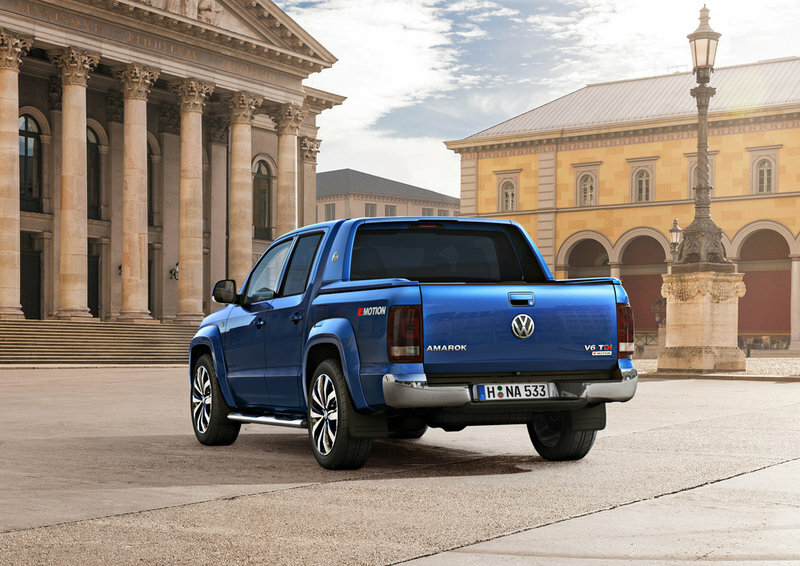 The 2018 Amarok starts at €25,720 in Germany, which translates to $28,850 at current exchange rates. That represents a price hike of €940 over the outgoing version, which is roughly $1,054. The 2018 Amarok will be available by the end of September of 2016. The Hilux, like the Amarok, is not offered in the U.S. We do have a version of it though with the Tacoma. Still, the Hilux is its own truck with a beefier attitude and a stronger back for work. Rather than a lifestyle truck as the Tacoma is, the Hilux is a hard-working brute that offers big capability in a midsize package. Power comes from a wide variety of engines, both gasoline and diesel, depending on region. Toyota’s 2.8-liter four-cylinder turbodiesel with 177 horsepower is the closest competitor to the Amarok’s engine options. Read our full review on the Toyota Hilux here. 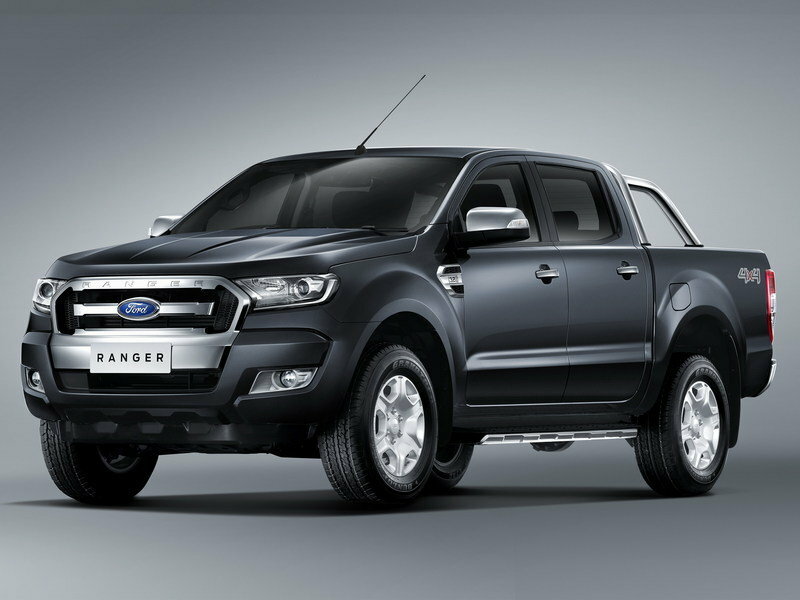 The Ranger is Ford’s global midsize truck sold round the world – except North America. 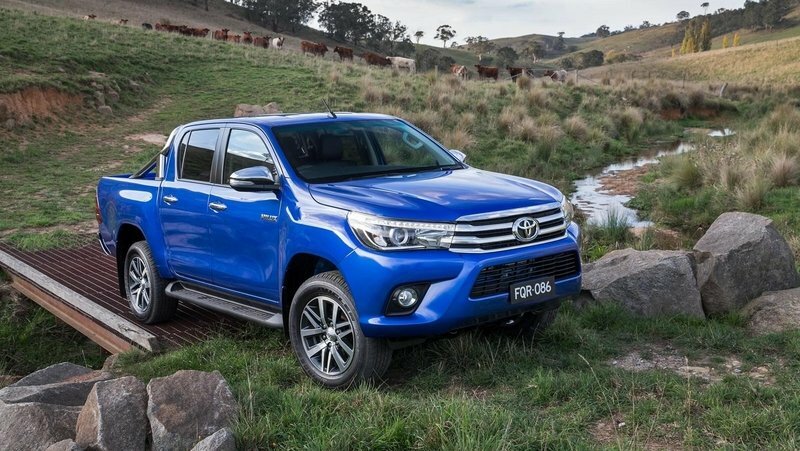 (At least for now) The truck is a tough beast that gives the Hilux a run for its money, with outstanding off-road capabilities, powerful engine options, and even a high-ranging Limited trim line. Power comes from three engine choice: a 2.5-liter I-5, a 2.2-liter I-4 turbodiesel, and a 3.2-liter turbodiesel. The truck can be had in single and double cab styles. Both the Ranger and Hilux last received a refresh for the 2015 model year. 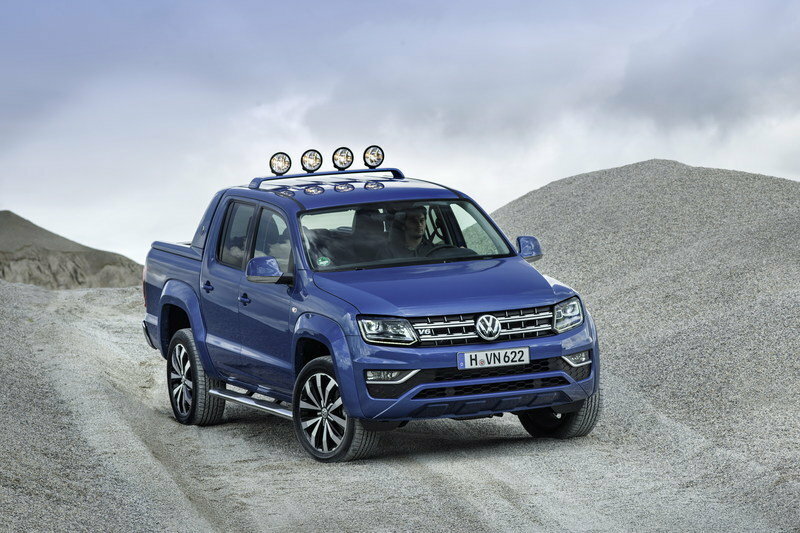 The updates Volkswagen has made push the Amarok into modern times. 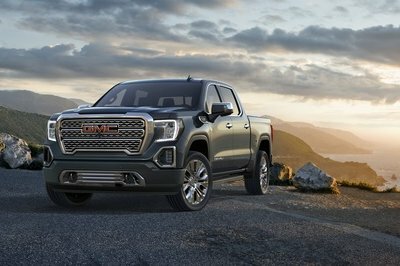 The new powertrain, updated front fascia, and revised interior make all the difference when it comes to livability, comfort, efficiency, and power. 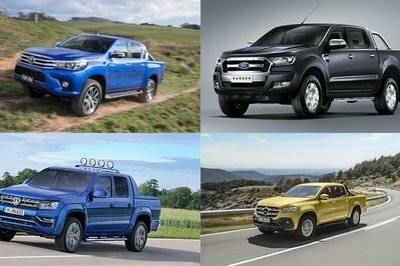 While it would have been nice to see a more extensive refresh that included the rear and sides of the truck, this mid-cycle update should be plenty adequate for combating the Ford Ranger and Toyota Hilux. Here in the U.S., we wait patently in hopes Volkswagen will one day offer the Amarok, though with the automaker’s current predicament with the U.S. Government in dieselgate, it’s very unlikely to happen. That’s especially true considering the Amarok would need to borrow a gasoline powertrain for U.S. duty. In the meantime, the Amarok will surely continue to sell well outside North America, in lands that have a true appreciation for work trucks that are capable of traversing the jungles of South America, the deserts of the Middle East, and the Outback of Australia. Update 04/21/2016: Volkswagen has released two sketches of the updated Amarok pickup truck, giving us a better understanding of the new design styling. 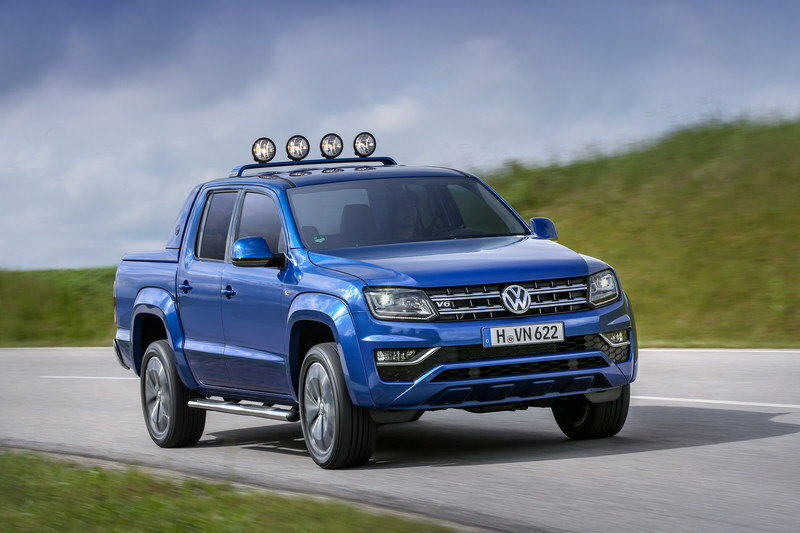 Volkswagen Commercial Vehicles has revealed the first images of its new Amarok on the move, as well as the interior which offers customers a number of new features. These include an attractive cockpit, with a colour multi-function display for the Aventura launch model and state-of-the-art radio/navigation systems. For the driver and front-seat passenger, the Amarok also provides 14-way adjustable ergoComfort seats, which have already won awards for their back-friendliness. Superior and robust: at home both on and off the road, the Amarok, with its new 3.0-litre V6 TDI engine achieves 550 Newton metres of torque and 165 kW / 224 PS at his highest power output level. It can reach a top speed of 193 kilometres per hour (120 mph) and accelerate from 0 to 100 km/h (62 mph) in 7.9 seconds. The pick-up is an attractive alternative thanks to its high seat position, good all-round visibility and high-quality interior, making for a comfortable ride both on- and off-road. And, despite its impressive size, getting into the Amarok is easy, with doors that swing open wide and – depending on the design variant – grab handles on the A and B-pillars to help you climb into the cab. One of the highlights of the new Amarok’s interior are the new electrically adjustable ergoComfort seats for the driver and front-seat passenger, which provide plenty of head and legroom. This is, above all, thanks to the height-adjustable front seats, which can also be moved a long way back. They feature sporty contoured side bolsters that have been optimised to provide maximum comfort and top ergonomic characteristics. The optional electric 14-way driver and front passenger seats can be individually adjusted to suit personal body size. The seat height and longitudinal position can be adjusted at the push of a button, the degree and width of lumbar support can be changed and the backrest and seat cushion angle set. The seat depth can also be adjusted manually. The ergoComfort seats for the driver and front-seat passenger in the Amarok have been awarded the ‘AGR’seal of approval by the Healthy Back Campaign (Aktion Gesunder Rücken e.V.). With nappa leather seat covers, contrasting Ceramique stitching and additional seat heating, the Amarok caters for discerning customers. At the very top of the centre console, and thus directly in the driver’s field of vision, is the infotainment system, allowing well thought-out, ergonomic operation. Equipped with features such as App Connect, Guide & Inform or Car-Net, it is possible, for example, to integrate smartphone apps via a USB interface in order to be able to access them via the infotainment system’s touchscreen. Guide & Inform extends the navigation system by adding online-based, up-to-the-minute information services such as online traffic information. The ‘Discover Media’navigation system also comes with DAB+ digital radio as standard. Both the ‘Composition Media’and ‘Discover Media’infotainment systems come with digital voice enhancement. This electric voice amplification makes communicating during the journey easier. The hands-free microphone amplifies the voice signals so that the driver no longer, for instance, has to turn to face the back-seat passengers or raise their voice. Passengers on the back seat hear the person’s voice amplified by the rear loudspeakers.